IDS-108FPP-S1SC20D - Industrial Ethernet Switch with Power Over Ethernet - 8 x 10/100Base-TX RJ45 ports, 4 of which support PoE/PoE+ and 1 x 100Base-BX, 1550nm TX / 1310nm RX single strand single mode port with simplex ( BIDI ) SC connector [ 20km/12.4 miles ]. 0 to 60C operating temperature. IDS-108FPP-S1SC20D Industrial PoE Switch. 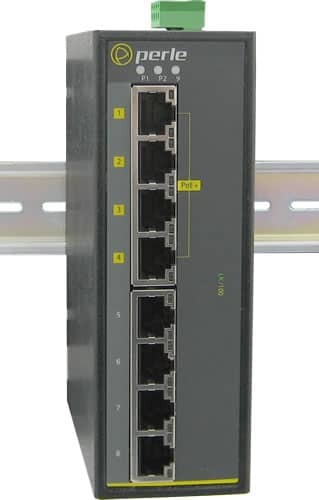 8 x 10/100Base-TX RJ45 ports, 4 of which support PoE/PoE+ and 1 x 100Base-BX, 1550nm TX / 1310nm RX single strand single mode port with simplex ( BIDI ) SC connector [20km/12.4 miles]. 0 to 60C operating temperature.